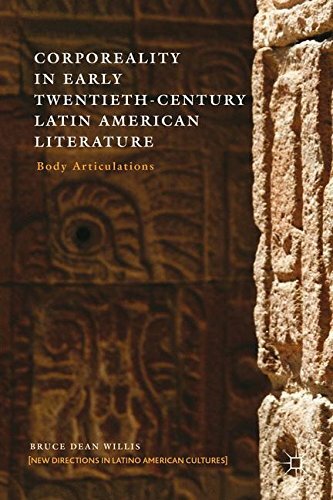 Featuring canonical Spanish American and Brazilian texts of the 1920s and 30s, Corporeality in Early Twentieth-Century Latin American Literature is an innovative analysis of the body as site of inscription for avant-garde objectives such as originality, subjectivity, and subversion. Guided by close attention to socio-historical contexts and mythical sources, the study illuminates aspects such as the relationship between synecdoche and the body politic, the corporeal and linguistic effects of immersion in the return to language origin, and the quest for new frontiers in poetic ontologies. Unpacking the vanguard body legacy, this insightful anatomy will be of interest to scholars of the avant-garde, body theory, and Latin American comparative literature.